The Marvel Cinematic Universe is one of the biggest movies connected universes currently in the cinema. It has spawned the idea of cinematic universes such as the DC universe, The Godzilla and King Kong universe, and the failed universal monsters’ universe. None can stand up to the behemoth that is the Marvel Cinematic Universe though, and with the Infinity Saga ending with End Game this April there is no better way to celebrate than to review every movie released in the Marvel Cinematic Universe so far. 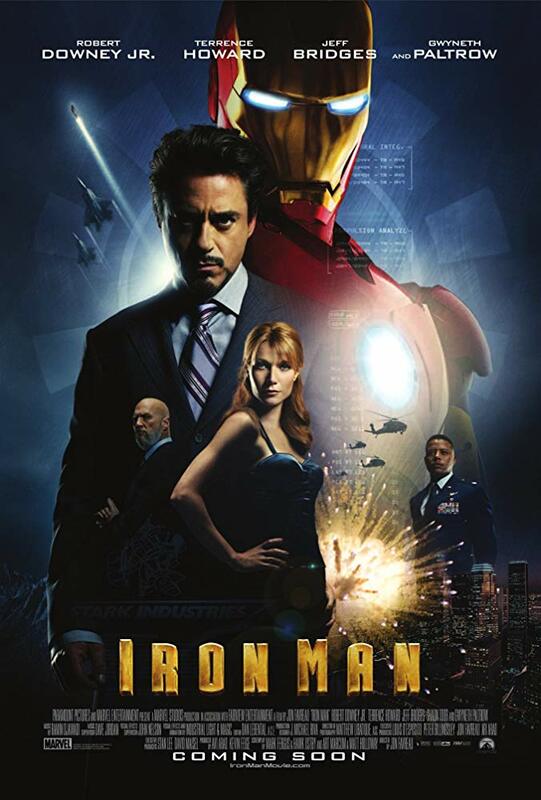 Back in 2008 the first movie of the Marvel Cinematic Universe hit theaters with Iron Man. Directed by Jon Favreau and starring Robert Downey Jr as Tony Stark, Terrence Howard as James Rhodes, Jeff Bridges as Obadiah Stane, and Gwyneth Paltrow as Pepper Potts. While it is known now that Robert Downey Jr is the perfect Tony Stark, at the time it was a huge risk for the character. Not only that but the idea of launching the entire Marvel movie universe with Iron Man was a big gamble. Iron Man was not a household name, and most people could not tell you anything about the character prior to the Marvel Cinematic Universes influx of popularity. When it hit theaters though it was regarded as one of the best comic book movies released and even one of the best movies released in all of 2008. Even watching the movie today, it holds up. The story of Iron Man isn’t of someone who was born to be a hero, he was a weapons manufacturer who fell victim to his own creations. He was not meant to be a likable person in the beginning of the movie but changed as the film progressed into the more caring Tony Stark we have near the end of the film. Tony Stark is a regular person, who can get hurt just like anyone else on the street, except he has built himself a titanium alloy suit capable of giving him extraordinary abilities. Throughout the film we get to see Tony Stark build his suit, which is fun to watch. Instead of him just getting his powers or being handed these abilities, he works for it. We see him fail, get back up, succeed, fail, work some more, and then ultimately succeed in his goals. Everything he accomplishes feels earned, and while he is not the greatest person ever by the end, he does feel very different than how he started in the movie. The pacing of the movie feels compact, so even though the movie is two hours long it feels very short. Every scene has a purpose, and there is a good break between the emotional scenes, the funny scenes, and the action scenes. Tony Stark changes the company’s focus from weapons to alternative power through the use of an Arc Reactor. The idea that Stark Industries would shift focus from military weapons to power does not bode well with the companies partner Obadiah Stane who does not agree with Stark and goes around him to kick him off the board of the company. Tony continues his research and decides to be more than just a good that creates power and works on his iron suit in secret, based on one he built during his capture in a cave. Unknown to Tony is the fact that Obadiah is also building a suit, made to be more powerful and based on the bulkier design of the original MK I suit, unlike the MK II suit Tony is building in secret which is a more compact and maneuverable design. In the end Tony and Pepper find out just how corrupt Obadiah is when they find he has been selling weapons to both sides in the war, as well as the person who hired the capture and death of Tony in the first place. This leads to Tony needing to face off against Obadiah and his suit in order to save himself, the people he cares about, and bring his company back to him. The acting in this movie is one of the best parts, Robert Downey Jr is Tony Stark. There is no difference between the two, there is no better person to be cast for this role and Robert Downey Jr gave it his all when it came to his performance. Everything that is Tony Stark is front and center in this movie, and he is brought to life in a way no one else could do. Likewise, Jeff Bridges as the Obadiah Stane is another perfect casting, playing the treacherous villain. Jeff plays the role in the most menacing way possible, making his truly feel threatening throughout the movie. While it isn’t revealed until the final act that he is the villain of the movie, the slow build up to the reveal of just how evil he is brings an understanding of the character to the film. He is greedy and is willing to put his moral aside to meet his greed. He wants to control the Stark Business and he will do anything he needs to accomplish that goal. He plays the perfect opening villain to Tony Stark. Then there is Tony’s best friend James Rhodes, played by Terrence Howard. James Rhodes is mostly a background characters, as the liaison between Tony Stark and the Air Force. He would later come to play a more pivotal role in the future movies, but for this first movie he is more there to show how irresponsible Tony Stark is, as a foil of an upstanding person of authority. Overall Iron Man still holds up as a great Comic Book movie. The lower effects on the suit make the movie look better, as it feels more realistic on how Tony Stark was first creating this suit. There are a couple moments for the CG is flaky, but the scenes come and go long before they become an eyesore. The acting is brought to a peak from every actor in this movie giving it their all and brings this great story to life on the big screen. This movie was a big risk when it was in development and it paid off hugely. With a great cast, great story, and great effects there is nothing in this movie that doesn’t hold up today. On the list of movies to go back and watch again from the Marvel Cinematic Universe, this movie is high on the list.